Really good gauge at a very reasonable price! Would very much recommend. Bought this for karting use and it is accurate enough. Not the best plastic but, maybe it will last the usage. Small, light, simple to use. Bought to measure fat tyre pressure. Good price, quick delivery. I bought this gauge to check the accuracy of the dial gauge on my Silca track pump, and am pleased to find they agree. 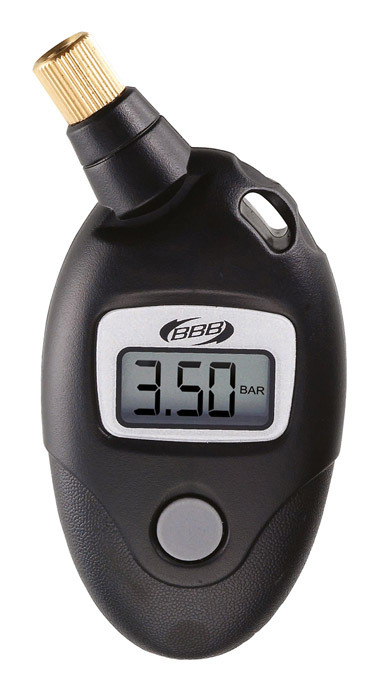 But - the BBB digital is another level of precise reading, and very easy to use, too - also, at lowish pressures (cyclo-cross), there's much more confidence. And, it's nicely made, very compact and the price is right.